The Big Apple is buzzing over the return of the marathon, and in Episode 16 we get multiple perspectives on the race. Sam Grotewold, who manages the pro field for New York Road Runners, gives us his inside info on the elites and a few sleeper picks. He even tells us who’ll be on “Mary’s Truck” mulling a marathon debut in the years ahead. 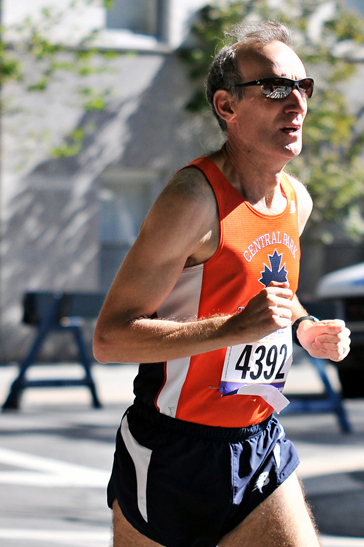 Local legend Alan Ruben of the Central Park Track Club talks about his amazing string of 25 straight NYC marathons, the last 23 of which were under 3 hours, and offers tips for the course he knows so well. Later on, Brenn discusses Tony Reavis’ blog entry on keeping up with the Kenyans, and Gregg gets on the Soapbox to say enough to all the advice for Ryan Hall.